4 cards, all hits, 3 autos, 1 booklet card, $200. Normally we don’t bring up price for several reasons. 1 – prices change over time. 2 – the question of value can be subjective. For some $4 a pack is expensive, for others $200 a box is nothing. 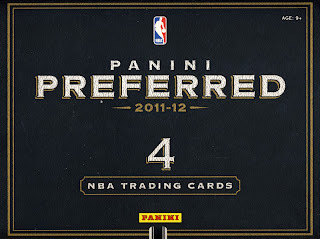 But with 2011-12 Panini Preferred Basketball we felt it necessary to bring up price to emphasis the level of the “high risk, high reward” nature of this box. Now lets move to the bulk of the review, the cards. There are four styles of autograph cards you can pull. 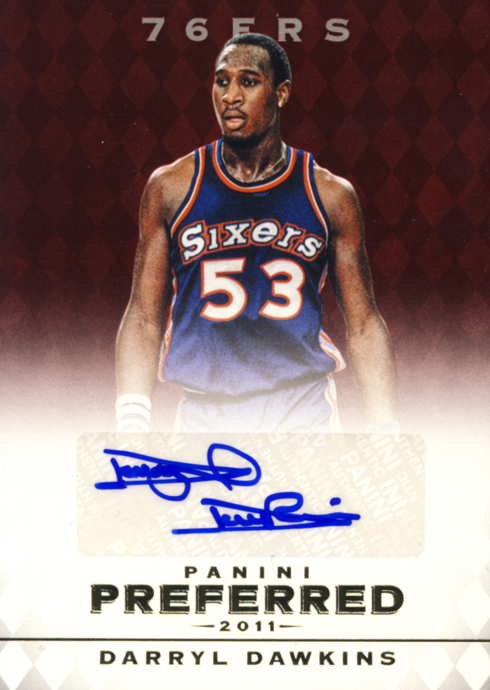 The Panini Preferred Signatures that are standard cards with autographs, Panini Choice Awards styled after the old Cramer’s Choice Award triangular die cuts, the impressive Crown Royale Silhouettes and the Crown Royal die cut signature cards. There is also a 6 to 8 swatch booklet card in every box. Preferred is unquestionably in our ultra premium cards category. Each box contains 4 cards, three autographs and one booklet card. We have already established how great the Silhouettes are and the die cut award and Royale cards are also good looking. 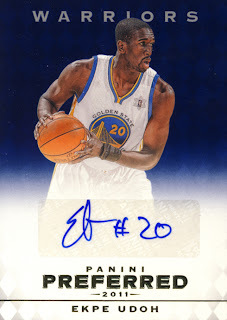 Normally I don’t have an issue with sticker autos and I understand the production process enough to know how going all on-card for a product is difficult, but at $50 a card, the non-recessed or framed sticker autos are definitely not Preferred, a real shame in a product that otherwise is outstanding. 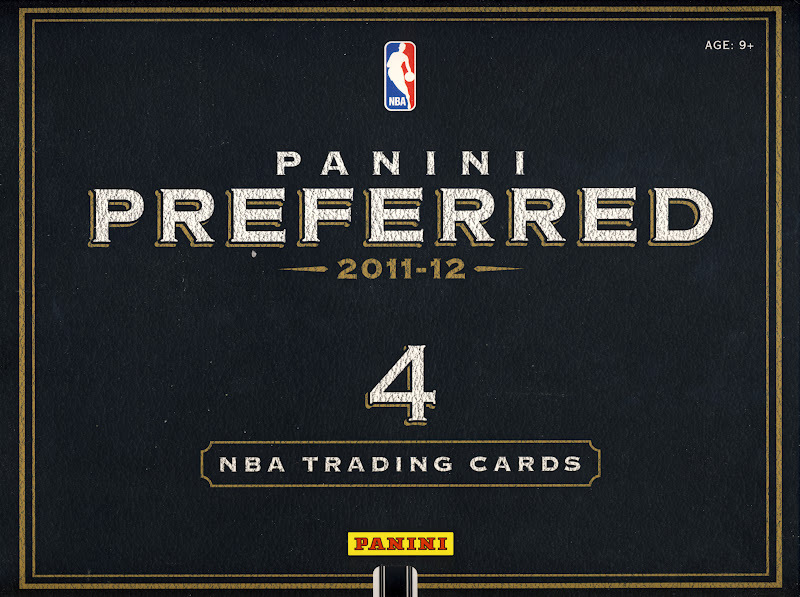 Because of the lockout, there are no rookie cards in this product, which enhances the checklist for me personally. I prefer my high end products to be mainly proven players with established appeal. 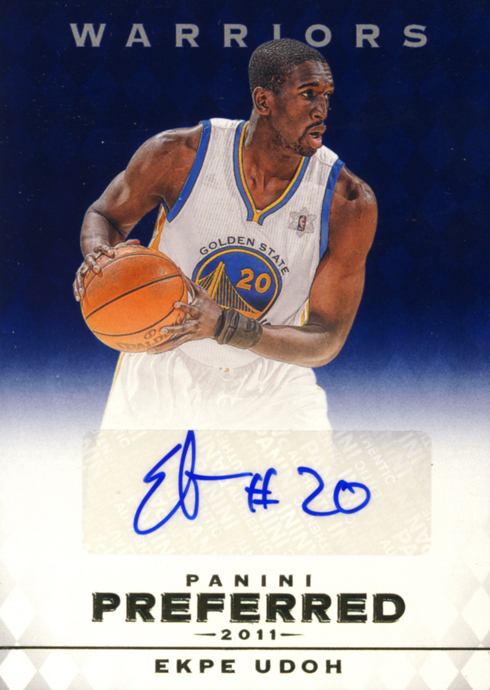 I am aware that hot rookies can drive a product and bring big money for those who flip cards, but it increases the risk for anyone who is holding onto these cards long term as the value can spiral downward rather quickly. The thrill is there for this product with plenty of chances to hit big cards. If you are only planning of flipping these cards you might have a difficult time recouping your money unless you buy in bulk to spread the risk which could lead to buyers remorse. But for those who collect and hold, if you understand the high risk nature of Preferred, there is a good chance you will walk away happy. 2011-12 Panini Preferred Basketball has plenty to offer collectors with high upside potential.